On a three-quarter-mile-long beach edged by tropical gardens and a lagoon, 3 miles from St John’s Airport transfer time:Approx. 20 minutes from the airport. 98 rooms and suites. The cottages are nestled in the gardens close to the lagoon and the elegant rooms are set directly on the beachfront. The rustic Taihitian-style Gauguin Cottages are wonderfully private and feature a plunge pool – ideal for honeymooners. The Superior Rooms and Deluxe Beachfront Rooms offer you the chance to step straight from your ground-floor room to the sand or enjoy an unobstructed view from your first-floor room. For the ultimate in luxury choose a spacious split-level Premium Beachfront Suite. All Inclusive includes all meals, afternoon tea, pre-dinner hors d’oeuvres (with a supplement at Ismay’s), premium-brand drinks and sparkling wine by the glass. 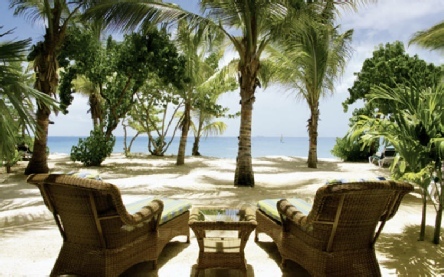 An intimate adults only hideaway tucked away between 40-acre tropical gardens and a secluded beach. If you have ever fantasised about being marooned on a stunning beach – but without having to sacrifice life’s luxuries – then this is the place for you. This elegant yet laid back resort offers impeccable service and the staff go the extra mile to ensure that your holiday is truly special. One of the first things you will notice is the sheer tranquillity. 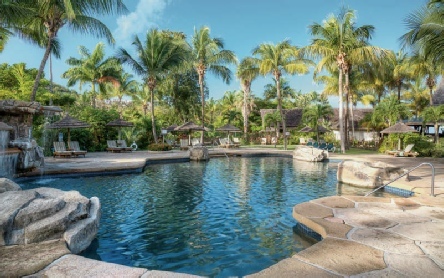 2019 package holidays to the Galley Bay Resort & Spa, Antigua Prices are per person based on two sharing.